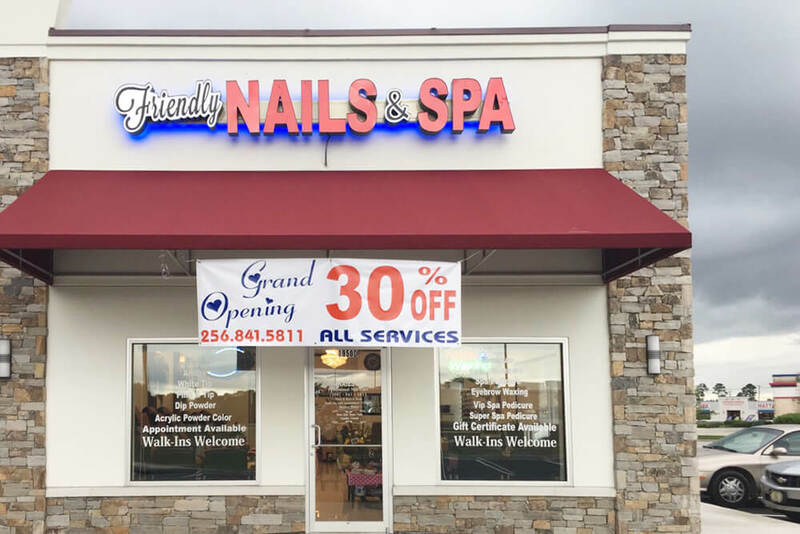 At Friendly Nails & Spa in Cullman, we use Bio Sculpture Gel, the only nail gel with a 5 stars rating, thin, strong and flexible. Natural looking, no chip, no dust, no fumes, no odour. Dries instantly under UV light. Preserve the heath of the natural nail. 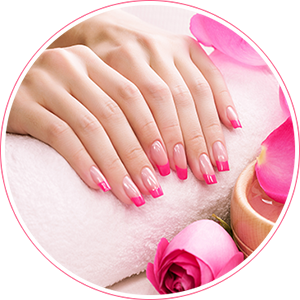 Gel available in clear, French and colors. 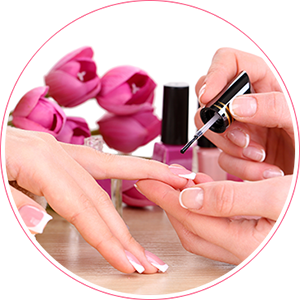 We also use O.P.I nail polish the highest quality products and the world leader in professional nail care. 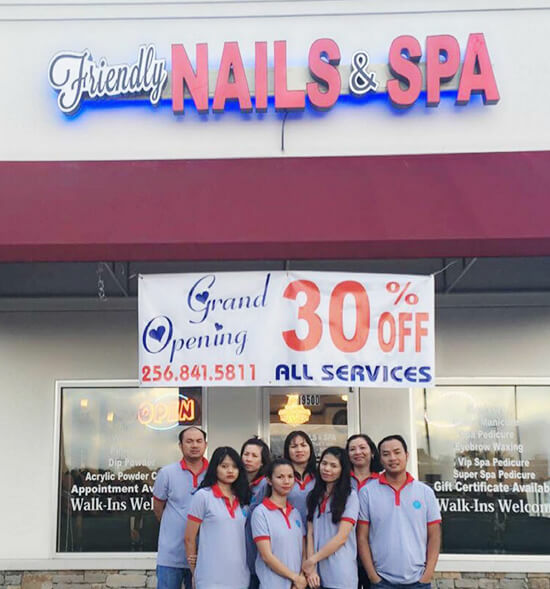 We are a professional NAIL SALON with the highest quality of work and standards. We take great pride in our work, great care in our customers and great craftsmanship in our services. We know that satisfaction is very important to our business. 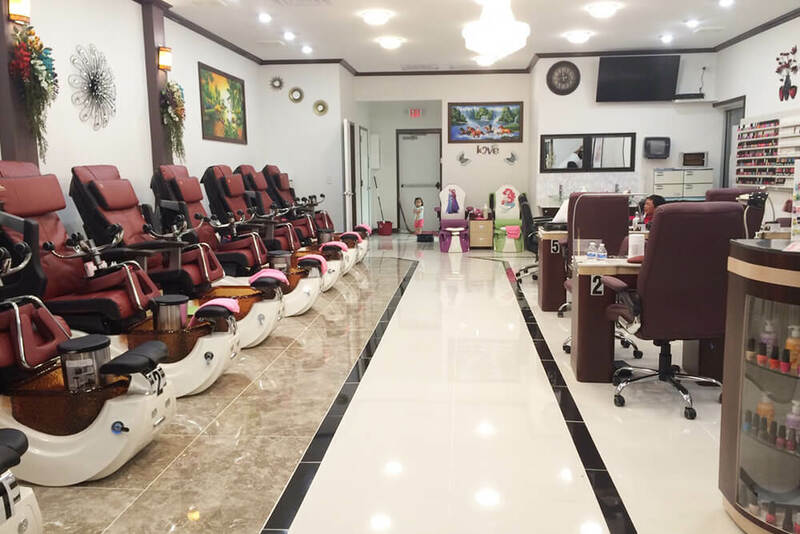 We want to make sure that when you come to our Salon, you will have a pleasant experience. You are in good hands because we care.